We don't really need all of it, right? If you're anything like me, Instagram and YouTube has attacked your wallet, and you own almost all of the makeup in the world. But, we don't really need it all, right? Right. Germs live in your makeup. Gross, I know. But, if you use any creme makeup or anything you have to dip your fingers in, you should replace it regularly. Breakouts aren't worth saving $20. You'll use more of what you actually like. Trying to decide what to use is infinitely harder when you basically have Sephora on your vanity. Getting rid of the makeup you don't use anymore might be hard, but chances are your face will still look just as beautiful. 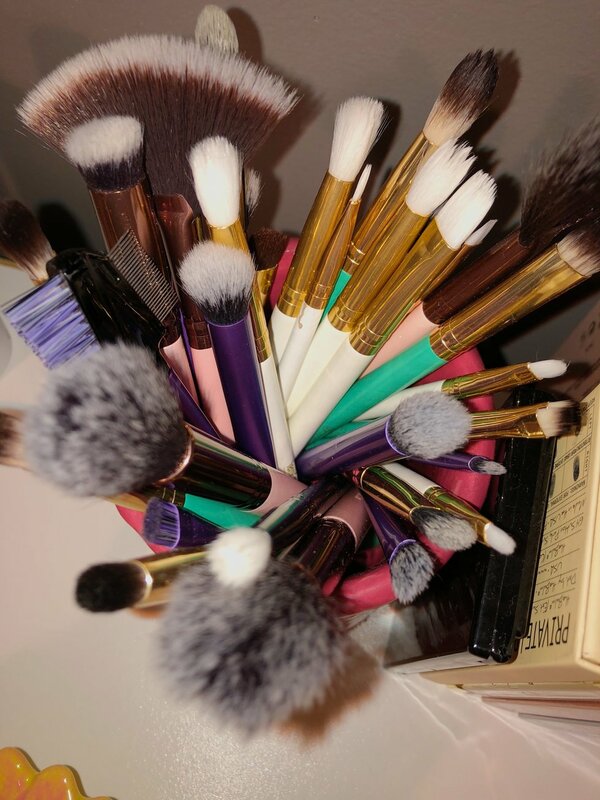 You can make money off of decluttering your makeup! Yes, it's true! The makeup you have barely used (I'm looking at you, random Colourpop palette I bought because you were cheap) can still be used by your friends. At least you'll get back a bit of the money you spent on it, and it won't waste away in a landfill. (The colors are too pretty for that.) Don't do this with mascara, though. It's too un-hygenic. Yuck. Doesn't everyone love the feeling of fresh sheets? Well, if you do, you'll love the feeling of a makeup bag that can actually close correctly and a vanity or bathroom that you can see everything in. Remember that lipstick you bought and never ended up opening? You can donate it to a Women's shelter. The first time I heard of this was from YouTuber Jackie Aina. Most of us aren't getting 40 lipsticks in a PR package, but the thought is still there. Your makeup will look better. This links back some to #2. If you're like me and you have the "too much" gene, you might end up trying to pile every single eye shadow you own into one look. 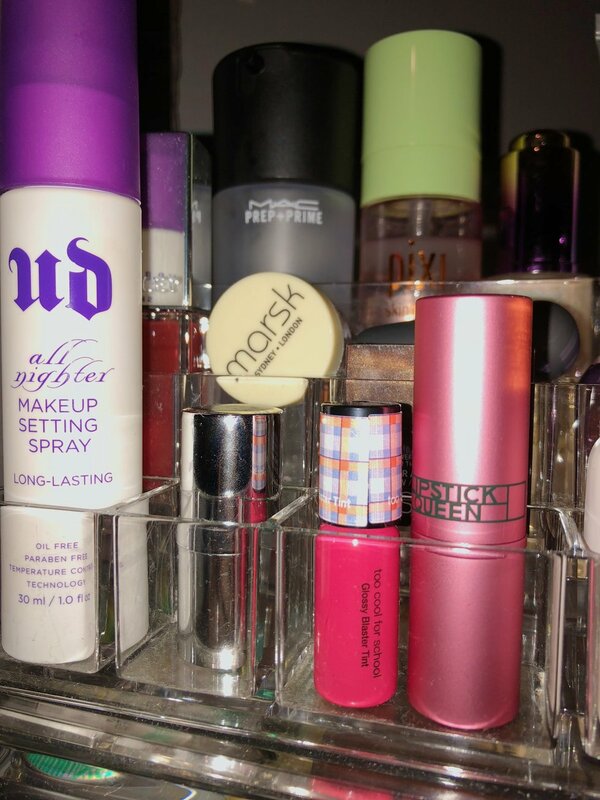 If you do a little decluttering, you won't have as much makeup to work with. And, again, you'll be using the stuff you really like. 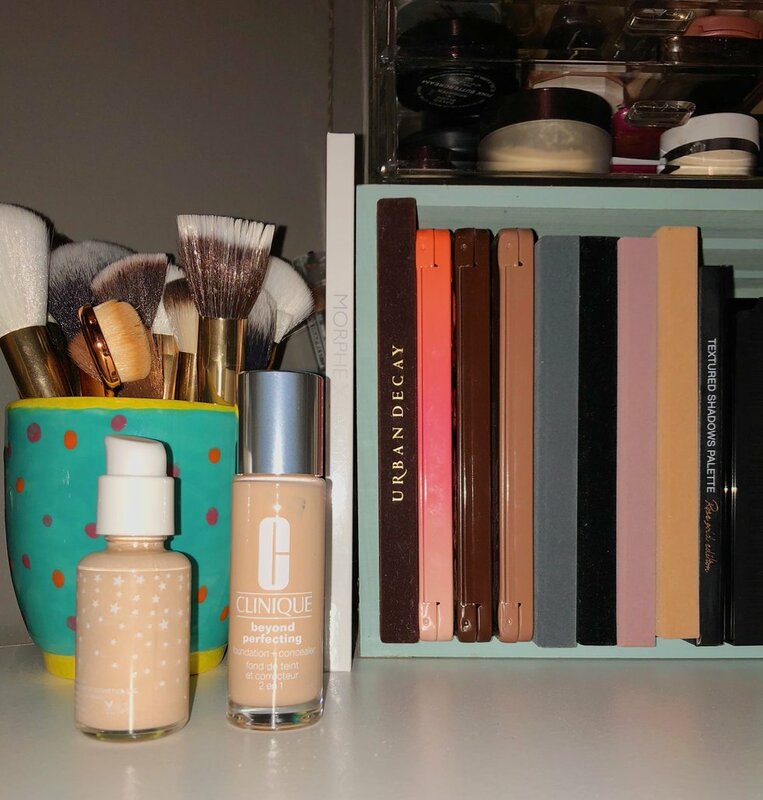 A good way to start decluttering is to lay out all of the makeup you own and "shop" from your collection. I learned this technique from YouTuber Jessica Braun, who has a whole delcuttering series on her channel. You just pick out the top items from your collection that you would repurchase first if your makeup all magically disappeared. This makes delcuttering 100 times easier and quicker. Good luck, boys and girls, and have fun decluttering and creating new looks!